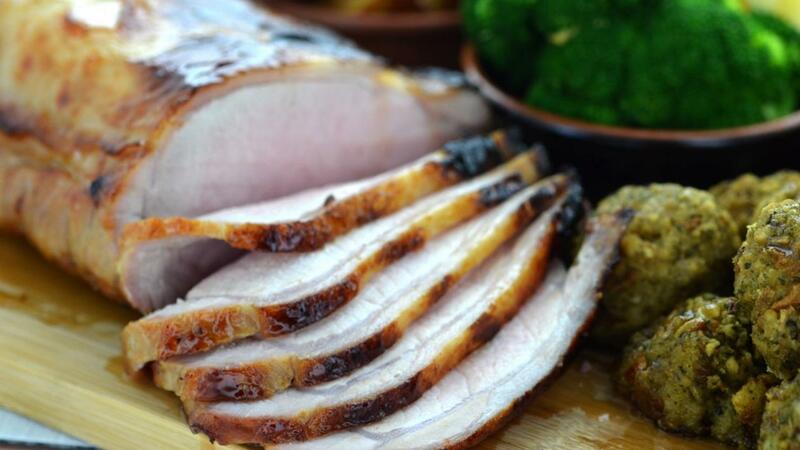 Try this roasted pork recipe with a special twist and surprise your guests! By using the ginger ale brine, it will help keep this lean cut of pork moist while cooking. Place the salt, sugar, garlic, black pepper into a saucepan and add the water. Gently heat until the sugar has dissolved then remove from the heat and add the 800ml ginger ale. Allow to cool then pour over the pork and leave for 6-12 hours. Place on to a roasting tray and roast at 190°C for 70-80 min. Pour the remaining ginger ale (200ml) into a saucepan and reduce by half then mix in the maple syrup then remove from the heat. Brush the glaze over the top of the pork and allow to rest before carving.